Sent off an 18-1 outsider under Chris Landeros, Bourbon Lane Stable's Bourbon Resolution won Saturday's $200,000, Grade 3 Ben Ali by 4 1/2 lengths to register his first stakes win in nine career starts for trainer Ian Wilkes. Nun the Less, sent off at 9-1 odds, finished second, with 7-1 outsider Third Day third in the field of 10 older runners after the scratch of Krewe Chief. Just Whistle, Solomini, 9-5 favored pacesetter Flameaway, Noble Commander, Hence, Bonus Points and First Mondays completed the order of finish. Bourbon Resolution covered nine furlongs on a fast track in 1:50.92 after fractions of :24.36, :49.06, 1:13.75 and 1:38.45. The 4-year-old colt by the Street Cry stallion New Year's Day out of Vindicated Ghost, by Vindication, was bred in Kentucky by Gary and Mary West, who raced his sire to a victory in the 2013 G1 Breeders' Cup Juvenile. Bourbon Resolution was a $125,000 purchase by McMahon and Hill Bloodstock at the 2016 Fasig-Tipton Kentucky July Yearling Sale. The winner was prominent early, racing in third while Flameaway showed the way, with Noble Commander in closest pursuit, Bourbon Resolution made a three-wide move turning into the stretch and was never seriously threatened down the lane. Wilkes said Bourbon Resolution – winning for the third time in nine career starts – could be a factor in the older horse division for the remainder of the year. 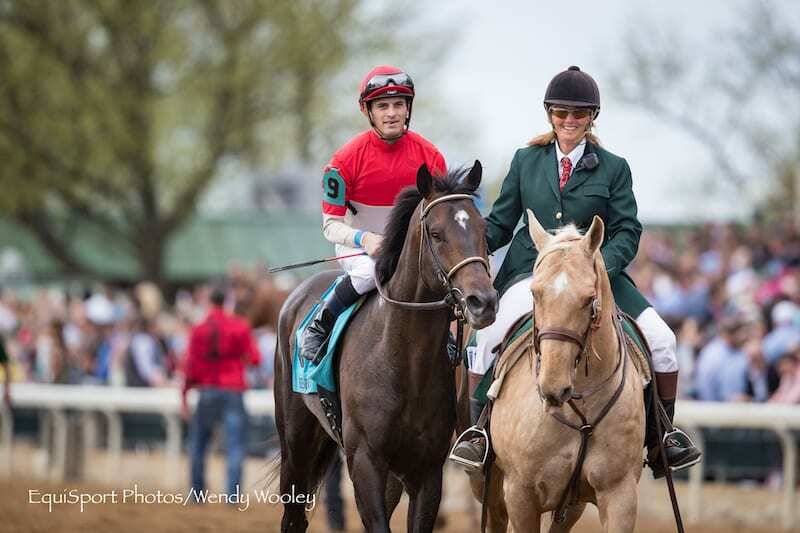 This entry was posted in NL List, Racing and tagged Ben Ali, bourbon lane stable, bourbon resolution, chris landeros, Horse Racing, Ian Wilkes, Keeneland, thoroughbred racing by Paulick Report Staff. Bookmark the permalink.